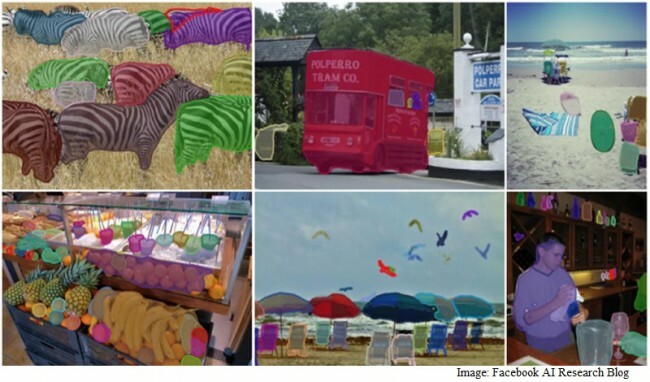 Facebook has decided to make its set of vision software tools, used for object recognition in images, available to everyone by open sourcing the project. The set of tools, DeepMask, SharpMask, and MultiPathNet, were developed by the Facebook AI Research team and essentially work towards a process called segmentation to recognise objects by their shapes in images. The research team has decided to share their research papers and demos along with the code for the tools with everyone in expectation “that they’ll help rapidly advance the field of machine vision,” it said in its blog on Thursday. The team further said that it will continue to publish its latest results and will update the open source tools we make available to the community. All three of the research team’s tools work in collaboration in order to distinguish objects and identify their type. In its blog, Facebook AI Research team said that the advancement in visual recognition technology helps visually challenged people in recognising the content of images that have no captions associated with them, without needing external help. The company rolled out this feature to its iPhone app in April. Going ahead, the company says its goal is to “enable even more immersive experiences that allow users to ‘see’ a photo by swiping their finger across an image and having the system describe the content they’re touching,” it said in its blog. Interestingly, the team is working towards applying these recognition techniques to videos as well.